Ivovono is a small Antankarana village in the north of Madagascar. There are about 700 people living in the village. Its inhabitants are fishermen or cattle raisers. Ivovono is located within walking distance (2 hours) from the main road between Diego Suarez and Ramena. From Sakalava Bay it is an 1,5 hour's walk along a sandy road, passing houses and massive mango trees here and there. The silhouette of the impressive Montagne des Français (French Mountain) can be seen along the way. 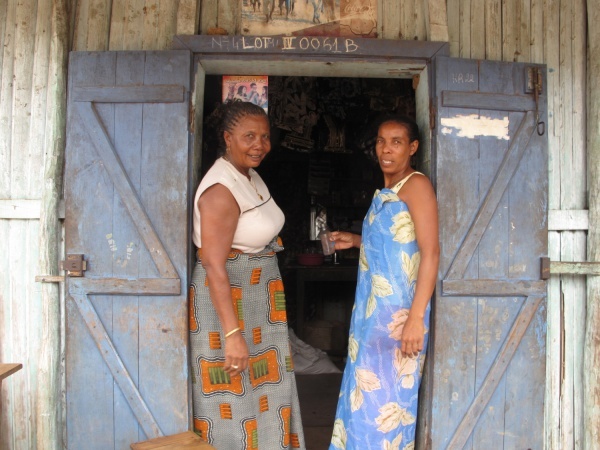 The village has a quite well stocked food shop with an adjoining Malagasy bar and restaurant. The road to Ivovono is sandy, hot and mostly unshaded. Renewable energy: the future green northern Madagascar? Blog about renewable energy in French language. This page was last modified on 5 September 2016, at 22:37.